Oral and maxillofacial surgery is for patients who are needed to correct problems in and about the mouth, tooth and also the jaw, by surgical procedure. Oral and maxillofacial surgeries are a little bit different as a general tooth filling or root canal treatment, it is a special territory of dental treatments. During the procedure patients need some kind of anesthesia, and the healing period is usually longer. These types of surgeries attend to correct cosmetic problems and other damages. Most common oral surgery treatments are the wisdom tooth extraction, bone grafting and sinus lift procedures. Bone graft is an oral surgical procedure when we substitute your own bone with synthetic replacement materials (mainly with hydroxyapatite). These materials have many of the same bone forming properties as human bone and absolutely safe alternatives. The procedure is the same as with the bone replacement of the chin except our specialists use only synthetic blocks to fill the areas of bone loss. Please note, this type of procedure usually has lower success rate then the one using bone from the patient's body. Generally considered the best material for dental bone grafts, autogenous bone is the process whereby bone taken from adjacent sites of the patient such as the chin. Autogenous bone is the standard as often it has the most predictable results. It is considered the best type of dental bone grafting technique because the bone is live bone. There are cases when implantologists use another part of the jaw for grafting (such as chin or back portions of the jaw, see above) but when there is not enough bone available, they have to turn to other parts of the body such as the hip bone (as the hip bone contains enough marrow, soft tissue within the bone). The autograft is a procedure where the specialist collects bone from the pelvis above the hip joint. A cut is made (usually a couple of inches long) and the required amount of bone is taken out. According to the amount of bone needed a small plastic tube may be placed into the wound before stitched. After the operation you are likely to feel some pain for at least a few days even if only a small amount of bone has been collected. In the case of a larger amount of bone collecting the area might hurt for even a couple of weeks. Dressing is put over the wound after surgery, this should be worn until the stitches have been removed. You should expect to stay in hospital for a couple of days but it depends on the treatment type involved at the same time. Read more about dental bone grafting here and sinus lifting here. BeautyHungary's experienced dentists have the required expertise in the area of qualitative dental bone grafting. If you think your oral bone structure and volume may be a problem, we have the solutions. WHO IS PERFORMING YOUR BONE BLOCK SURGERY IN HUNGARY? Dental bone grafting (bone block from chin and hip) is perfomred by Prof.dr. Med.Dent. József Piffkó. He had been working in Germany for several years, having dual citizenship of Hungary and Germany. He had been qualified as Dr. med. dent. in 1984, and Dr. med. in 1988. 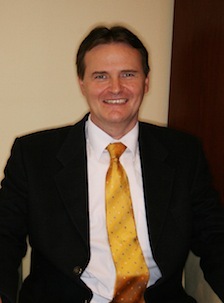 He had gained his general dental qualification in 1990, oral surgeon qualification in Budapest in 1992. He had also qualified in Germany in Oral and Maxillofacial surgery in 1997 (ÄK Westphalen-Lippe) and in Cosmetic (Plastic) surgery of the face in 1999. He had been appointed as Professor together with the status of being the Deputy Head of Department - University Lecturer. He had worked in Vienna for 6 months as a Guest Professor on Oral and Maxillofacial Department in 2003. He had qualified as a Master of Oral Medicine in Implantologie in 2004 in Münster. He is the director of the MTA (Hungarian Academy of Sciences) Szeged Regional Committee of Dental and Oral Surgery. Also the director of the Hungarian Association of Maxillofacial and Oral Surgery. He is performing bone grafting (bone block from chin and hip) at our Dental Clinic. Together with Dr Batorfi they are the a really experienced team anyone can rely on when making a step towards and new, healthy and beautiful smile.